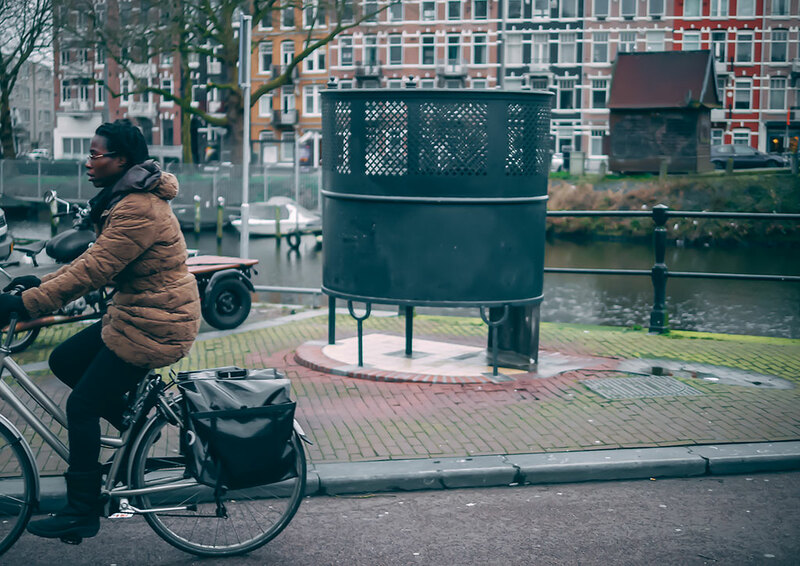 One of the few shortcomings of urban cycling is finding a place to relieve yourself. 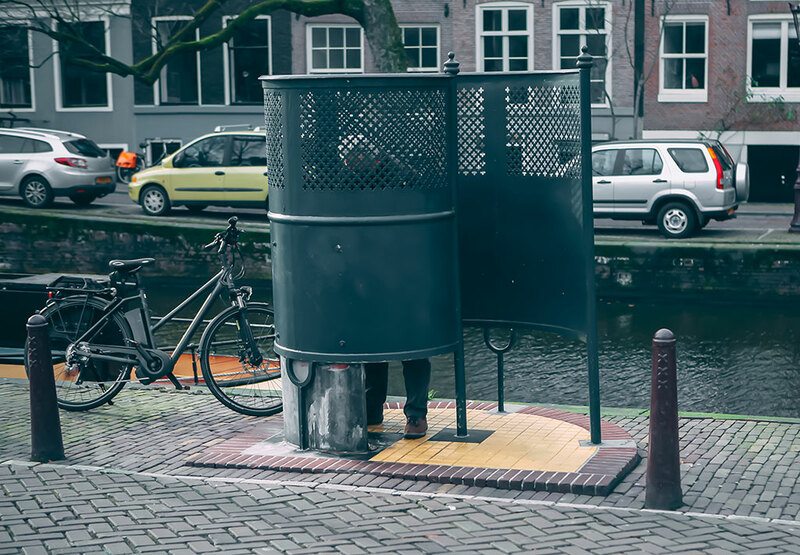 Fortunately for bicyclists with bladders saturated with urine on the verge of bursting, Amsterdam provides an answer. De Krul known as the iron “curl” is a well-known public urinal beloved by Amsterdammers. Dating back to 1880, there has been little change to the orignal design of the Krul over the years. Today there are a few hundred scattered around the city. In some cases, you can smell them before you spot one (*cough* Central Station.) The best way to approach one is to think of yourself as a thief in a museum equipped with a laser tripwire alarm. Be careful not to touch anything! These urinals are living cesspool of disease and bacteria. One may ask where do the women go? 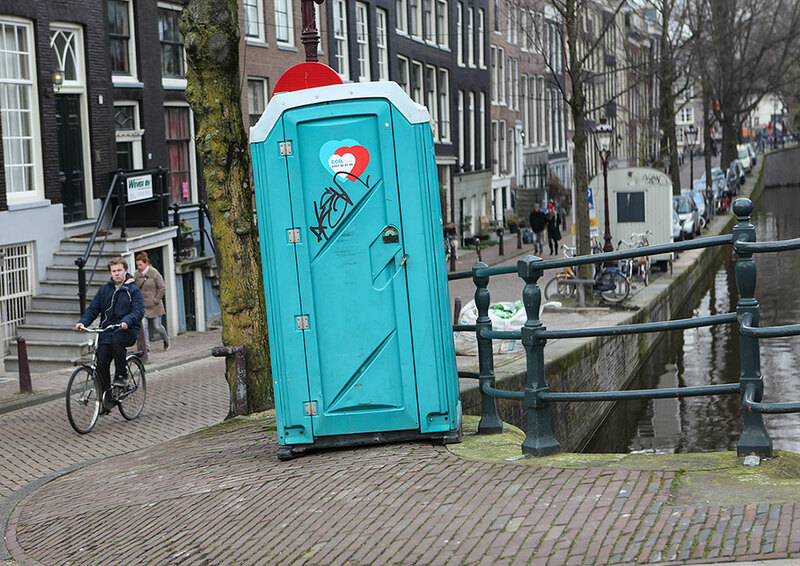 The common porta-potty is a rare find and are mainly used in selective spots like in Vondelpark. There are also public toilets but this will require scrambling for some change to use them. Restrooms in restaurants are always an option, though if you ask to use it, the answer will invariably be no, so the choice is either buy something or don’t ask. It may seem like men have the upper hand in finding a place to relieve themselves. But there is a drawback in the easy access of unzipping a fly that can land someone in trouble. Canals may appear like a place to discharge, especially when alcohol flows through the veins during a night of drinking. Though having to deal with a fine for public urination is humiliating enough, there is a likelihood that something far worse could happen. Each year roughly 15 men die by stumbling into the canals as a result of their inclination to take a tinkle in the water. The number of deaths by urinating would be staggering if not for the urinals. 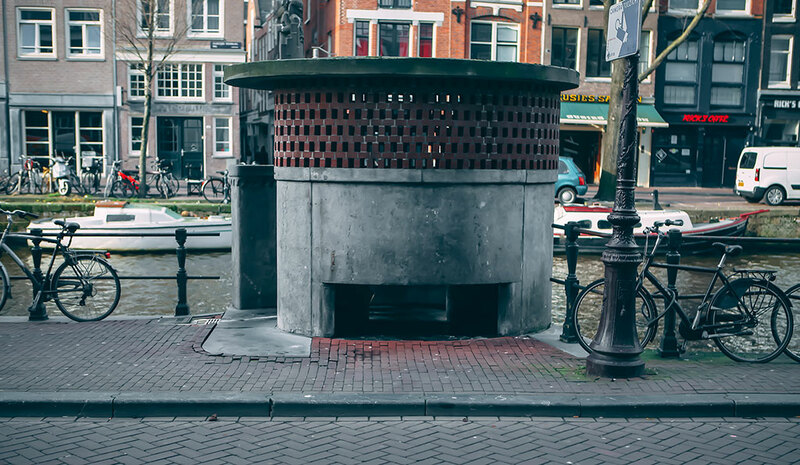 This is where the Kruls have proven invaluable to Amsterdam and literally a life-saver. Double De Krul | Oudezijds Voorburgwal, De Wallen.